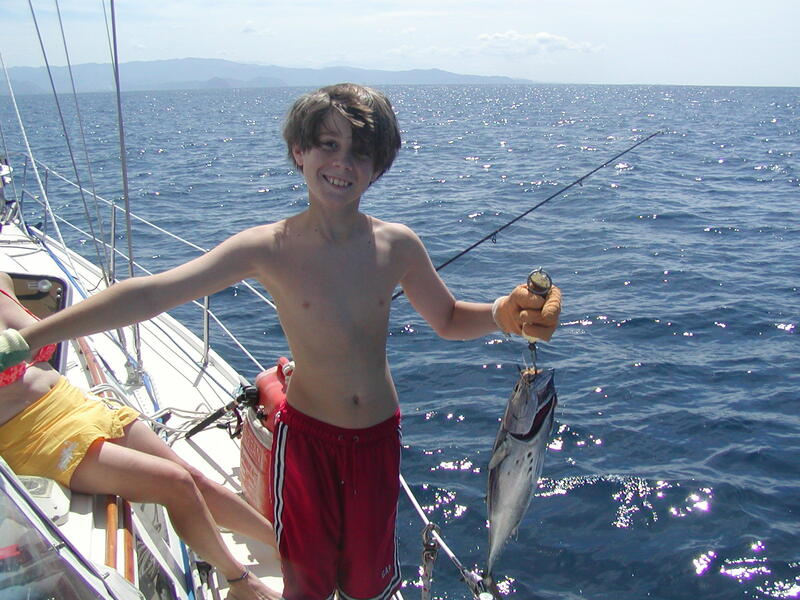 We went to Los Suenos because it was the next best location to gain fuel for the long trip south. It was amazing, beautiful, and morbidly hot! The Los Suenos Marina is a great place. 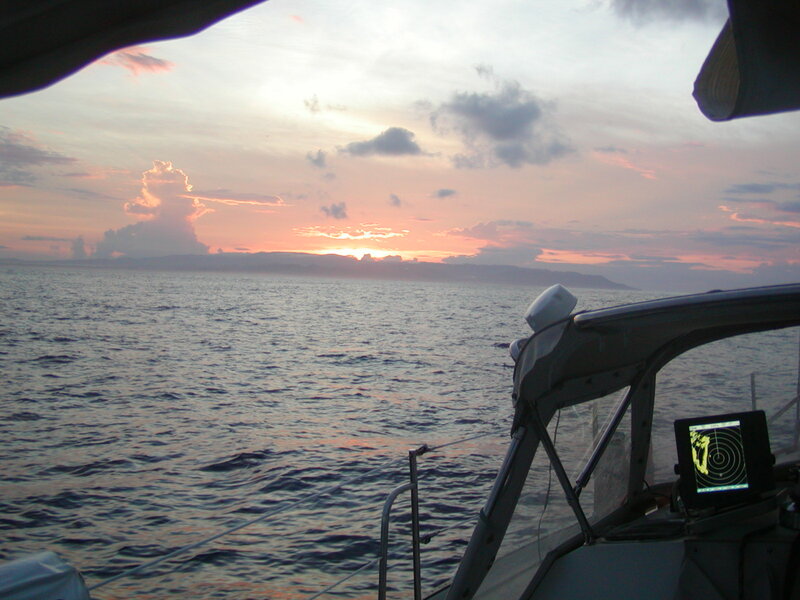 It is a sportfishing capital, with a great open-air bar with 3 meals a day. The cost was $2.50/foot per day (if you are only staying by the day). We are 42 feet by the day! There were no hotel rooms. 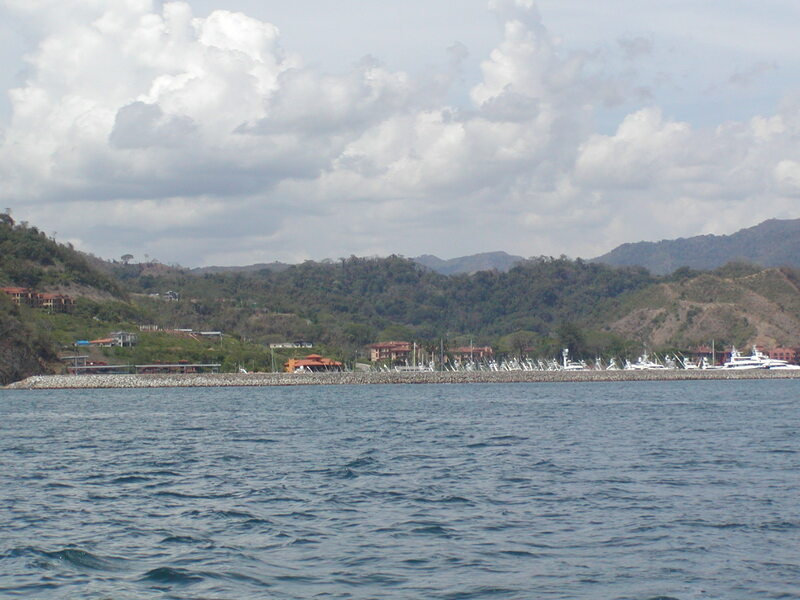 However, the area next door was inhabited by the Los Suenos Marriott Hotel and Resort. It was beautiful. We chose to stay only 2 nights at the dock, which included cable T.V., telephone service to the boat (though we don't have one to plug in), laundry service, and wonderful stores. We were delighted to come upon one of their new stores, the Omaha Steaks store! Yippee! $69 for a box of filet mignons! Hmmm. We went to the wonderful restaurant between the marina and the Marriott. It is award-winning and I wish I could remember the chef. A finer meal has not been had anywhere on this trip and it was certainly one of the top 10 I've ever had. We will return to this place. Meagan and I went into town to find an internet cafe that would allow us to plug in our own laptop. We never found one, however, we found many really nice ones you can rent. We found American/English newspapers and tons of surfer dudes and gals hanging out. It seemed like a small town, but we are certain there are many other areas we had not the time to see. The beautiful marina is on the left behind the breakwater and the Marriott Hotel and Resort is on the right in this picture. I did not take many pictures here, though, I'm sorry to say! 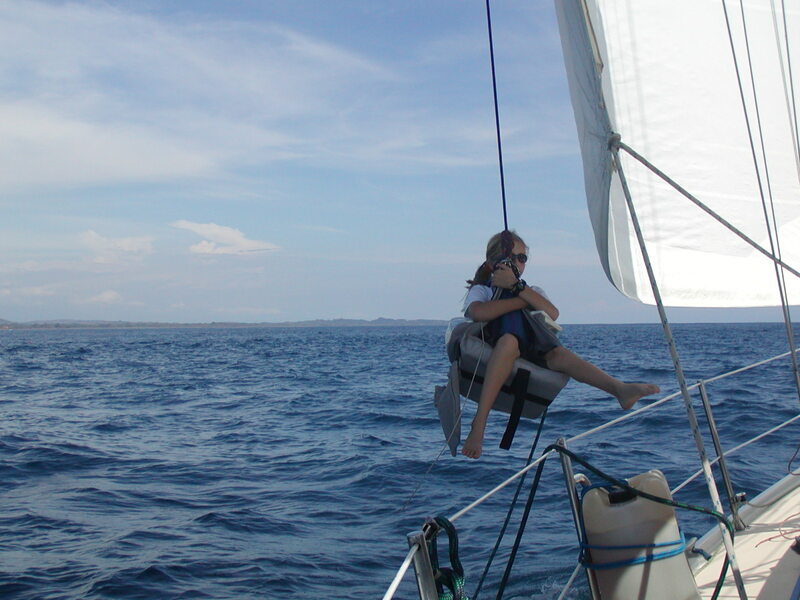 Hanging out in the bosun's chair on a calm day. Costa Rica...where the sunsets are always beautiful, even if they portend a long rainy night to come! Mornings on the long trip south! We actually decided that we had gotten so trashed with salt water over the last two days that we would storm chase! We actually chased this storm 20 degrees off course, and away from shore, to hit it! It was wonderful! 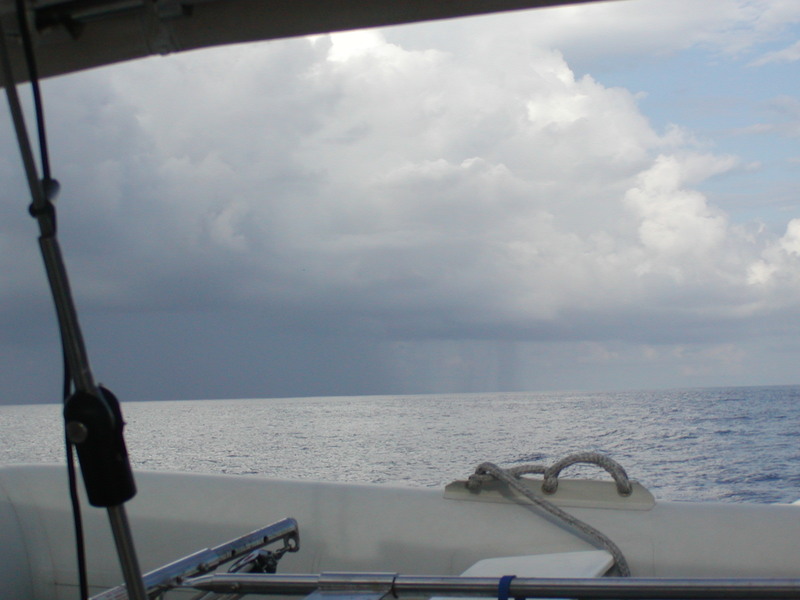 The deck got completely soaked, we all sat under the bimini, and there wasn't any lightening. Kelvin the fisherman! He loves to fish and is willing to clean them and get them ready for his father to package up and freeze, or cook. However, he still won't eat any!